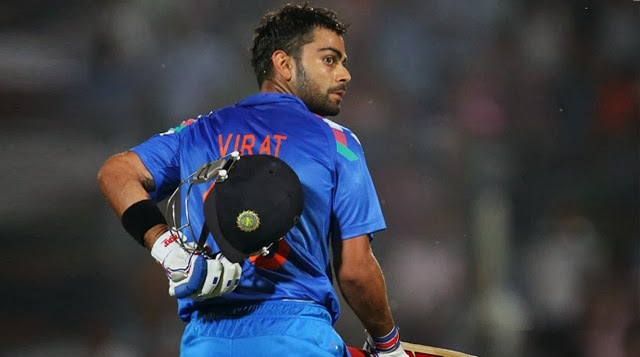 Virat Kohli is the best Indian Cricket player who started his career in 2008 as a batsman in all three format of the game. His batting average figure is towards higher day by day since starting and now he is the backbone of the Indian Cricket Team. Virat Kohli has scored a total of 624 runs at an average of 89 in 8 innings at the Adelaide Oval. Once again Virat Kohli has proved his value in the first T20I against Australia in Adelaide. Kohli has scored four centuries in all three formats and a half-century as well at the Adelaide Oval, a ground where he has always played special knocks. Virat Kohli has played four test innings at the Adelaide Oval and has scored a total of 394 runs with an individual best performance of 141 against Australia. Ms Dhoni said:”I think in Adelaide they’ll be naming a stand after him, a number of runs he’s scoring. By the time, he ends his career, quit a few Australian grounds will have his stand.”. Virat Kohli is the only one player who has played a single T20 Adelaide where he consign the Australian bowlers all over the park to score a personal score of 90*.